"From mountain lakes to the Ocean"
NIDECKER Stand Up Paddle is now supporting me. The Swiss company famous for its Snowboard department has been developing Stand up Paddling for some years now. Nidecker is an innovative company interested in all aspects of Stand Up Paddling. When I first told them earlier this winter how both freediving and SUP would fit together, they immediatly seemed interested. We are now working on it side by side. 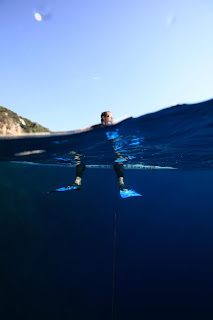 As I wrote in this blog before, I first used SUP in order to get in shape for my deep freediving sessions. It is still the case today, but I now mainly use it to go freediving. It happens that my SUP is an excellent platform to dive from. I ve been doing that for some month now and just as I was expecting .... it is PURE MAGIC ! Interested ? Why not trying now ? As freediving should never be practiced alone think about planning your Freediving Sup Session with an experienced buddy that can seriously look after you when you are submerged. 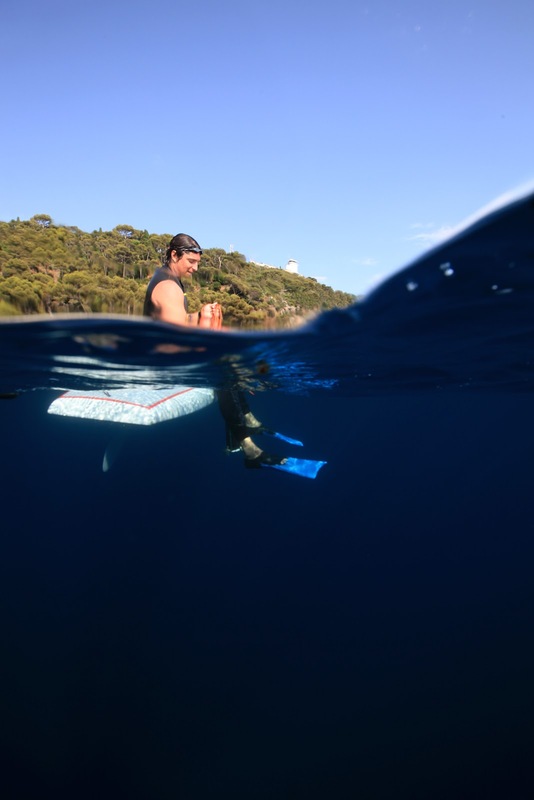 Paddle together to your favourite freediving spot and enjoy your session. Beware of boats, meteorogical conditions and local hazards. Also note that you have no serious safety device you can rely on nor no way of evacuating efficiently in case something goes wrong. So, choose to be very conservative on depth reached and time spent underwater. 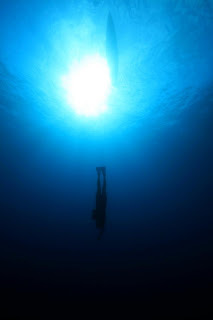 I recommend Stand Up Freediving for fun sessions or intensive shallow winter trainings. With a larger board such as the All Around 12' that offers more stability we can carry more equiment. That can potentially increase the degree of safety and the range of depth during our trainings. 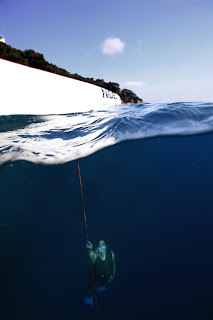 In windy conditions and to avoid drifting away, taking a 3 mm rope with a tiny rock type anchor can be an excelent solution.